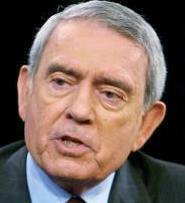 NEW YORK - Dan Rather filed a $70 million lawsuit against CBS and his former bosses yesterday, stating that they had made him a scapegoat for a discredited story about President Bush's military service during the Vietnam War. The 75-year-old Rather, whose final months as a news anchor were clouded by controversy over the story, said the actions of the defendants damaged his reputation and caused him significant financial loss. The lawsuit, filed in state Supreme Court in Manhattan, states that the network intentionally botched the aftermath of the story about Bush's time in the Texas Air National Guard and had Rather take the fall to "pacify" the White House. He was removed from his job at "CBS Evening News" in March 2005. Rather narrated a September 2004 report saying that Bush had disobeyed orders and shirked some of his duties during his National Guard service, and that a commander felt pressured to sugarcoat Bush's record. In his lawsuit, Rather maintains that the story was true, but that if any aspect of the broadcast was not accurate, he was not responsible for the errors. The story relied on four documents, supposedly written by Bush's commander in the Texas Air National Guard, the late Lieutenant Colonel Jerry Killian. Critics questioned the documents' authenticity and suggested they were forged. A CBS review determined the story was neither fair nor accurate. CBS fired the story's producer and asked for the resignation of three executives because it could not authenticate documents used in the story, and Rather was forced out of the anchor chair he had occupied for 24 years. Rather's lawsuit states that he was forced to apologize, although "as defendants well knew, even if any aspect of the broadcast had not been accurate, which has never been established, Mr. Rather was not responsible for any such errors." By making Rather apologize publicly, "CBS intentionally caused the public and the media to attribute CBS's alleged bungling of the episode to Mr. Rather," the lawsuit states. As a result, some news media called the event "Rathergate." Rather states in the suit that his departure was ultimately caused by Viacom chairman Redstone, who found it best for the company to curry favor with the Bush administration by damaging Rather. Rather, who didn't return messages yesterday, worked at CBS News starting in 1962, then replaced Walter Cronkite in 1981 as "CBS Evening News" anchorman until signing off March 9, 2005.